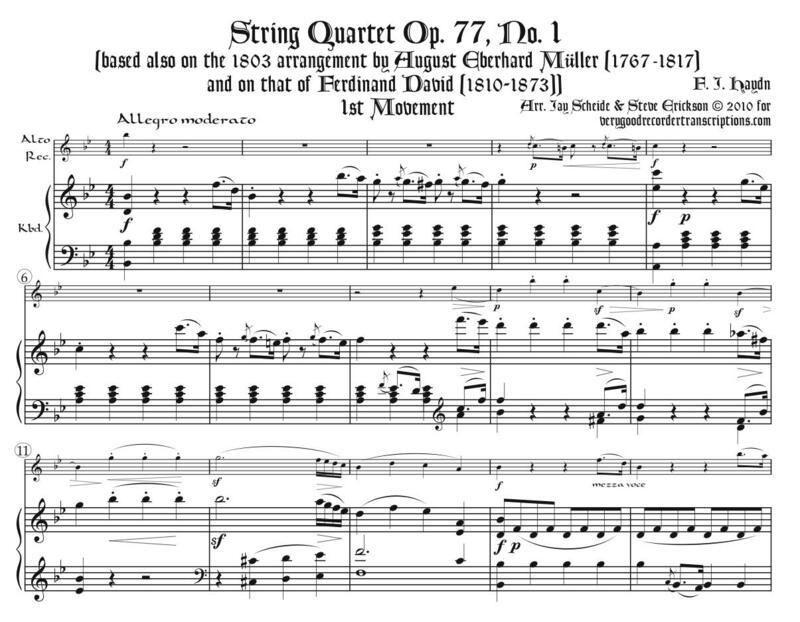 Originally for string quartet in G major, transposed to Bb, based also on two 19th-century arrangements for flute or violin & keyboard, the 1803 arrangement by August Eberhard Müller (1767-1817), and one by Ferdinand David (1810-1873)). The 2nd movement, which is in Gb major (transposed up from the original Eb major), requires an (alto) recorder at old pitch. Both the 2nd and 3rd movements have preferred options to switch to soprano recorder, in the 2nd movement to a soprano recorder at old pitch. Rev. 3.17.19.